The United States Computer Emergency Readiness Team (US-CERT) released a technical alert on Tuesday on behalf of the DHS and the FBI to warn organizations of North Korea’s “Hidden Cobra” activities, particularly distributed denial-of-service (DDoS) attacks. The threat actor dubbed by the U.S. government “Hidden Cobra” is better known in the infosec community as Lazarus Group, which is believed to be behind several high-profile attacks, including the ones targeting Sony Pictures, Bangladesh’s central bank, and financial organizations in Poland. Links have also been found between the threat actor and the recent WannaCry ransomware attacks, but some experts are skeptical. The joint alert from the FBI and the DHS provides indicators of compromise (IoC) associated with a botnet known as “DeltaCharlie.” The North Korean government has allegedly used DeltaCharlie, which has been detailed in Novetta’s “Operation Blockbuster” report, to launch DDoS attacks. The agency warned that, in some cases, the DDoS malware was present on victims’ networks for a significant period of time. Network administrators have been advised to follow a series of recommendations for mitigating attacks and responding to unauthorized network access. While North Korea is believed to be responsible for several major cyberattacks, experts have also observed sophisticated attacks aimed at the country. 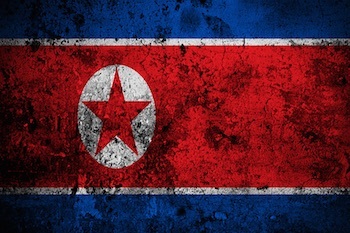 Last month, Cylance reported seeing a new fileless attack that seemed to have Chinese origins, and Cisco detailed a RAT used to spy on organizations linked to North Korea.